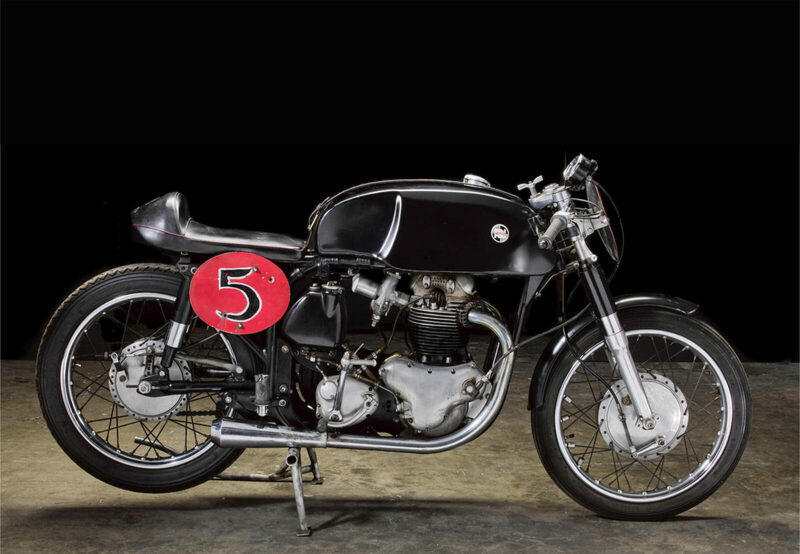 This Norton is a racing special built by legendary California Norton dealer Sonny Angel for racing duties in the USA. A Norton Featherbed frame was used as the starting point for the build, a favorite among motorcycle racers of the era and a design that was widely copied by other manufacturers. 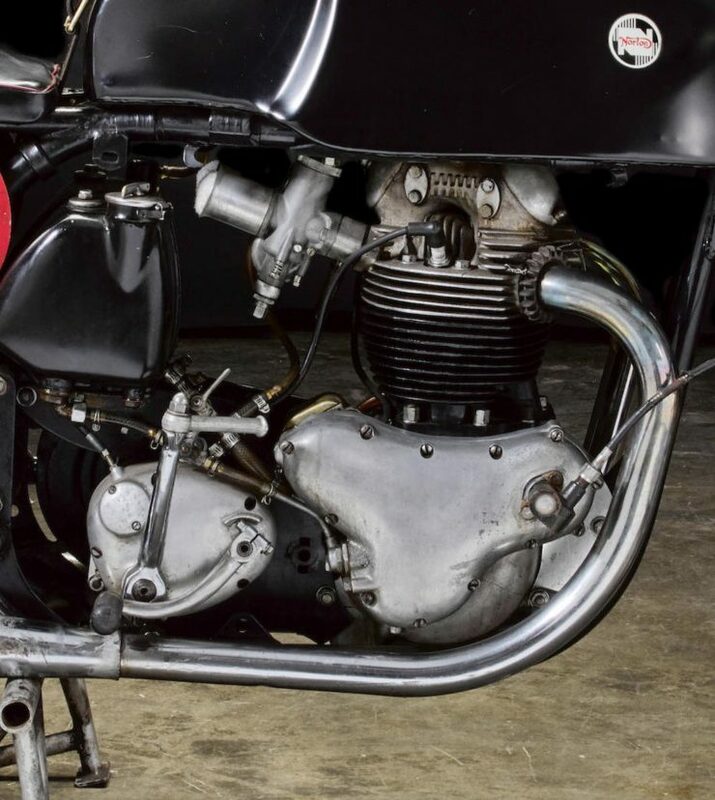 A 1962 650 Norton parallel twin was fitted, after it was bored to 750cc, and fitted with twin Amal carburetors sporting alloy velocity stacks. 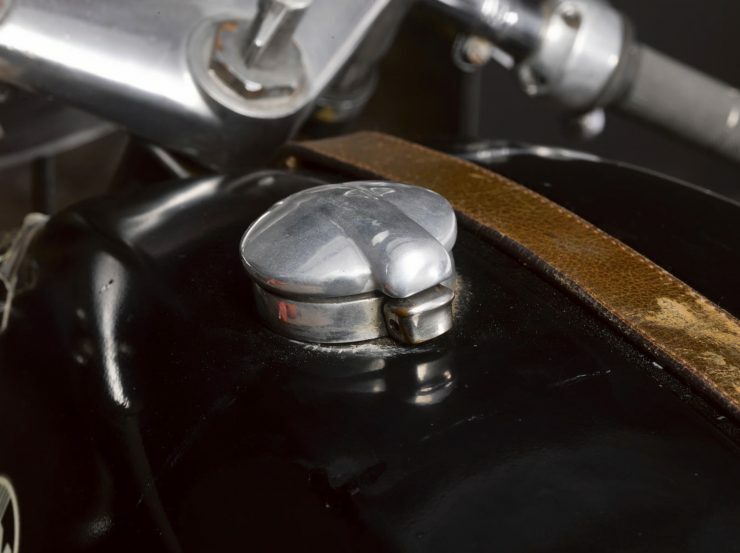 Up front a pair of Norton Roadholder forks were installed, topped with clip-on handlebars and a tachometer – there was no need for a speedometer, headlight, or blinkers, as it was never intended to pass a road licensing inspection. 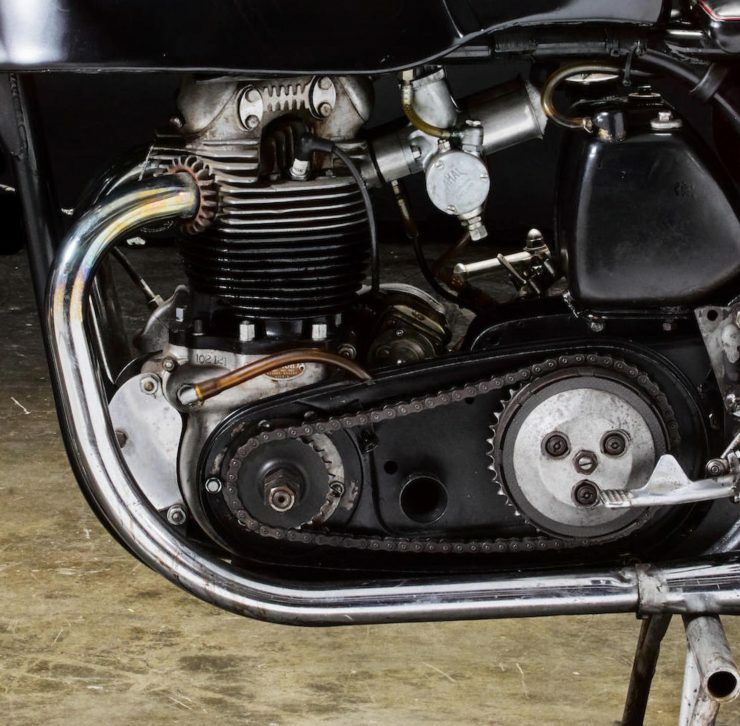 An open single-chain primary connects the 750cc parallel twin to the 4-speed Norton gearbox used extensively right through to the end of Commando production in the 1970s. 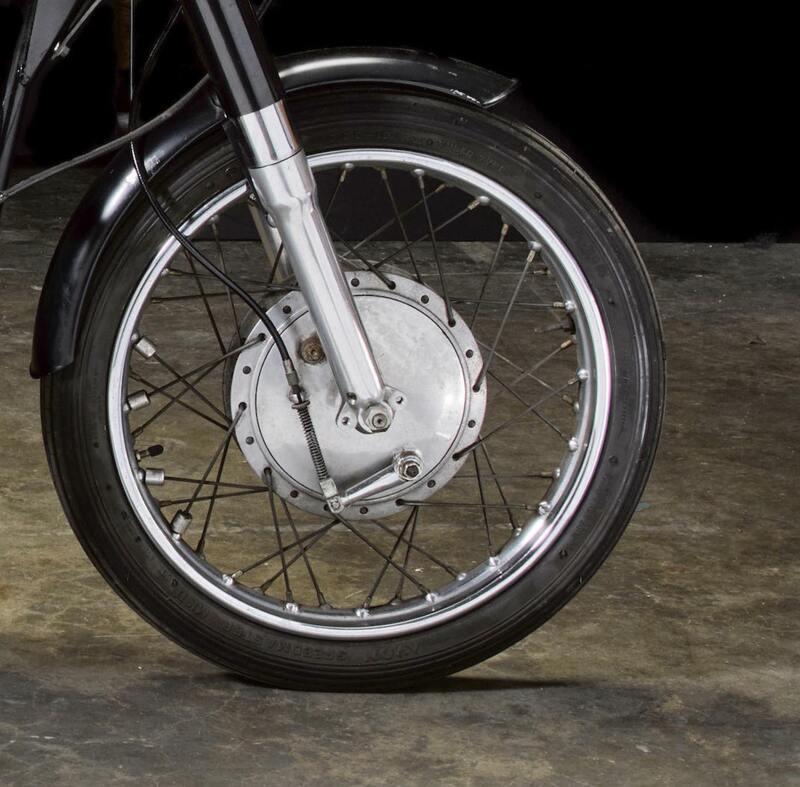 Interestingly, Sonny Angel and his team fitted an NSU rear wheel to allow for quick gearing changes. 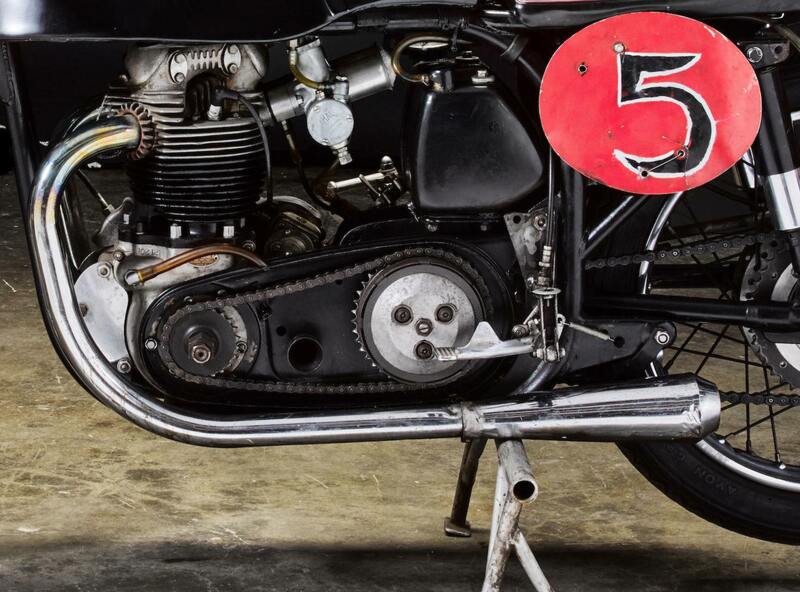 He was also an NSU dealer, so he would have had ample supply and experience with the twin sprocket wheels, and the benefits of being able to change a racing motorcycle’s final gear ratio in a matter of minutes would have been valuable. A single seat with a bump stop was installed behind a large-capacity Manx-style fuel tank, with a strap to hold it in place and knee indents on either side to accommodate the rider’s legs. 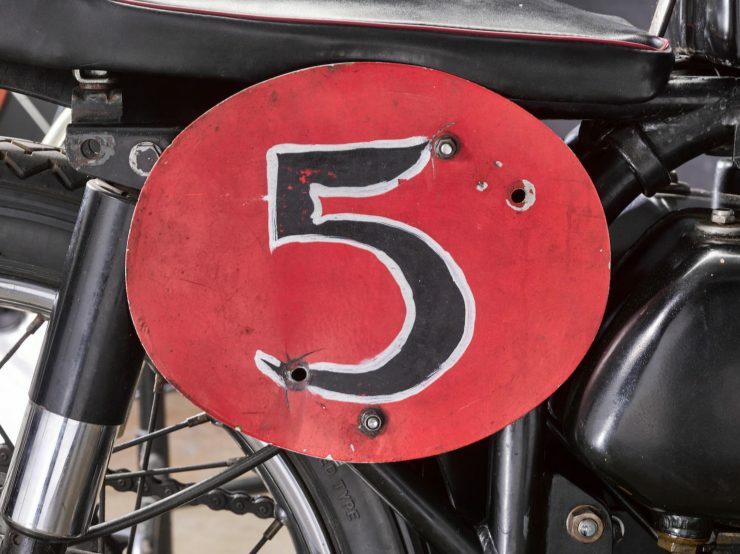 Hand-painted number “5” plates were applied to both sides and the front, and short exhausts were fitted with no cross-over, and the smallest mufflers that could be found – noise complaints would be unlikely. In recent years the Norton has been rebuilt, and it’s now listed as running strongly. 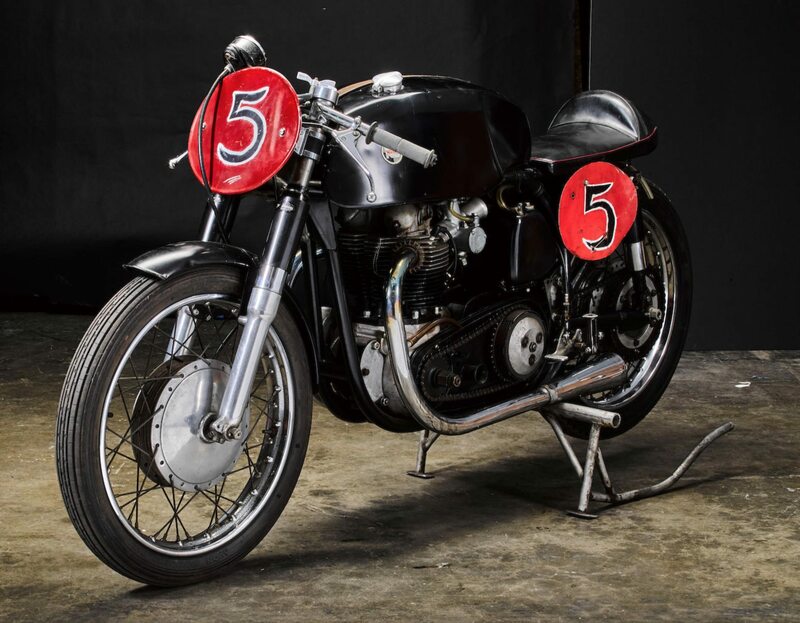 It’s a unique piece of British/American motorcycle history and with an estimated price of between $16,000 to $20,000 USD it could very well be greeted by a sea of waving paddles when it crosses the auction block with Bonhams in Las Vegas on the 25th of January. 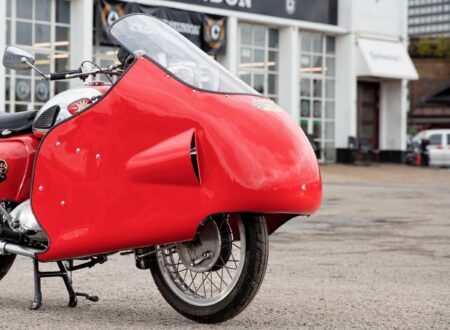 If you’d like to read more about the bike or register to bid you can click here to visit the listing. 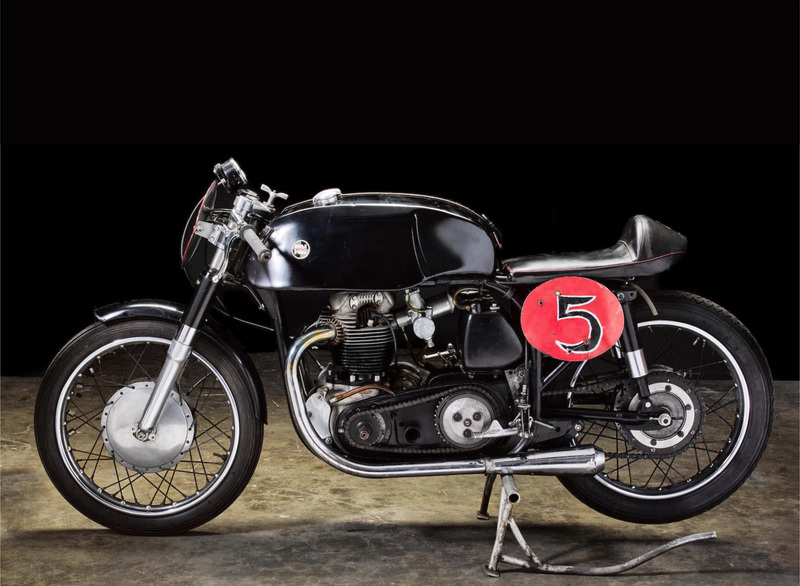 Sonny Angel travelled to England as a young man and ended up spending two years working in the Vincent Motorcycle Factory in Stevenage. 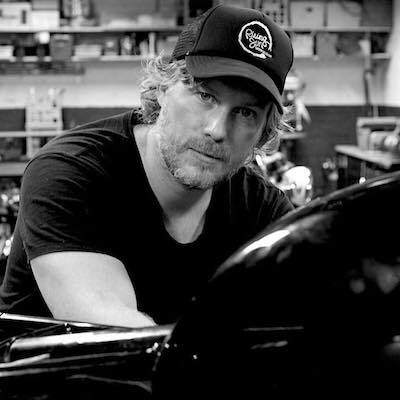 He was part of the team that built the final Vincent in the factory before it closed down, and his connections to British motorcycling wouldn’t end there. 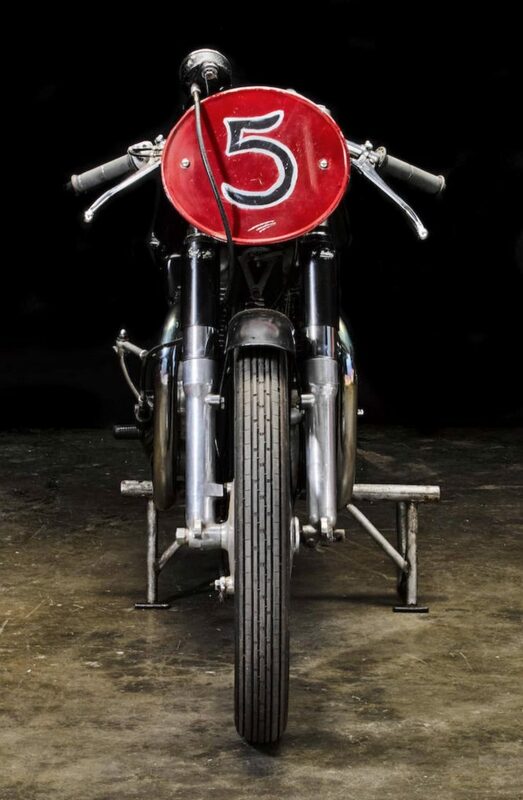 After traveling back to California and opening Sonny Angel Motorcycles, his own dealership, he would take part in countless road races, drag races, off road races, and he went to the Bonneville Salt Flats in 1955, where he would ride his custom Vincent Rapide to a speed of 144.69 mph. 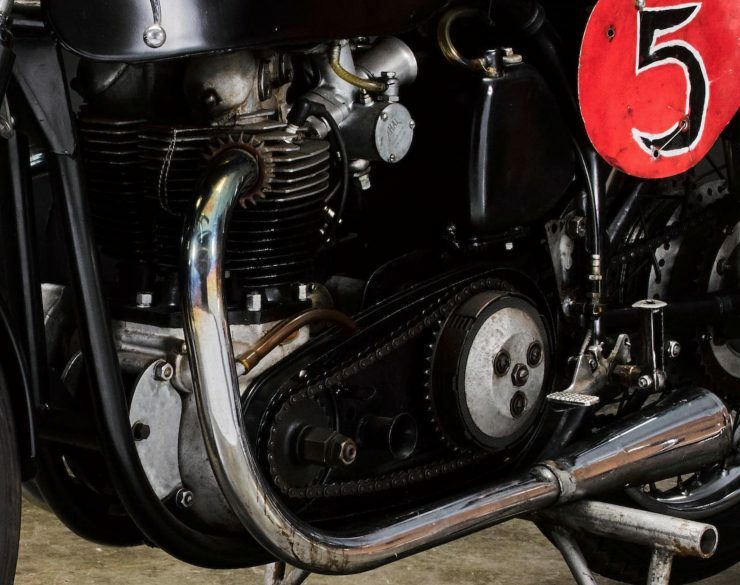 In the late 1960s and early 1970s Sonny saw what was happening to the British, Italian, and American motorcycle industries as the glut of cheap Japanese bikes flooded the market. 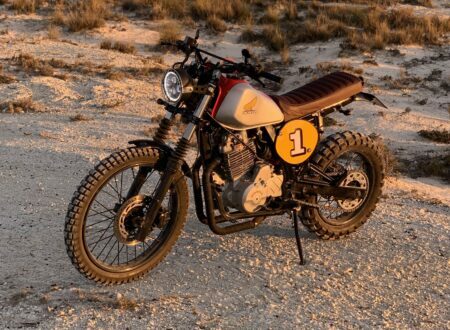 He recognized the importance of the Honda CB750 and realized he could build a faster and better handling competitor for it using little more than a rolling Norton Atlas chassis and the engine from a Hillman Imp. 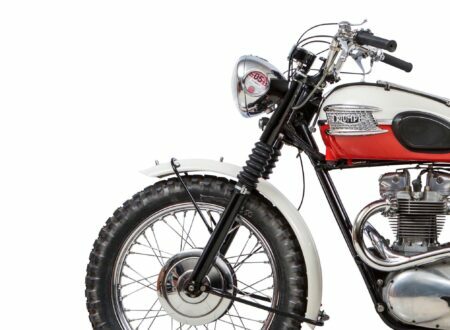 Though on the face of it it might seem absurd to put a car engine into a production motorcycle, it was actually remarkably clever. 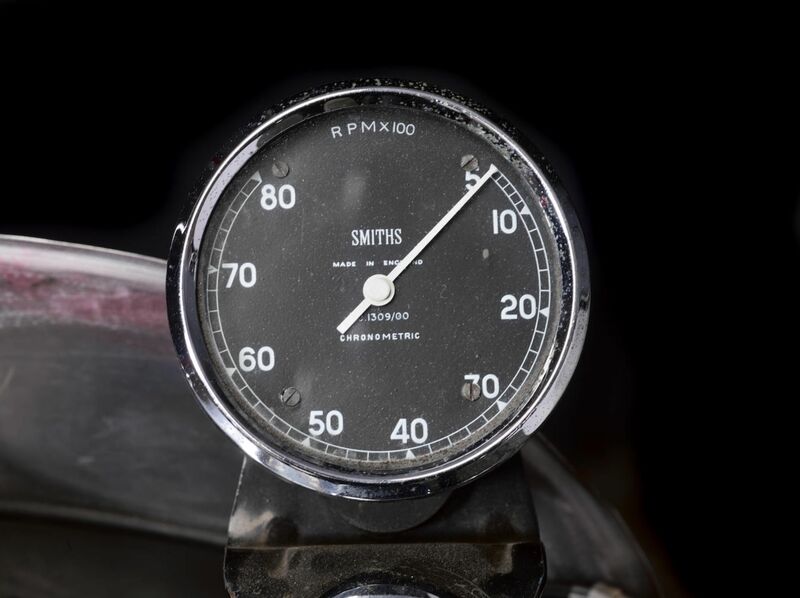 The Hillman Imp engine was closely based on a Coventry Climax unit that had enjoyed some racing successes. 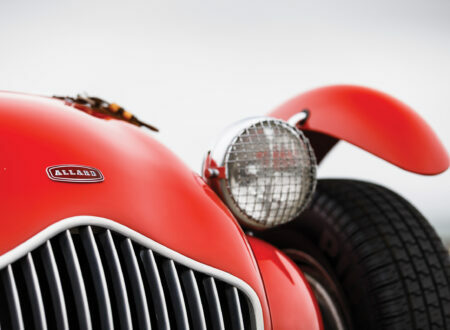 It was a lightweight, inline-4 that was cast from aluminum alloy and used water-cooling. 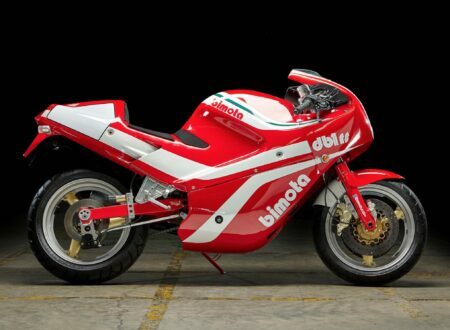 It had a single overhead cam rather than the more common pushrods, a displacement of 875cc and 51+ hp depending on the state of tune. 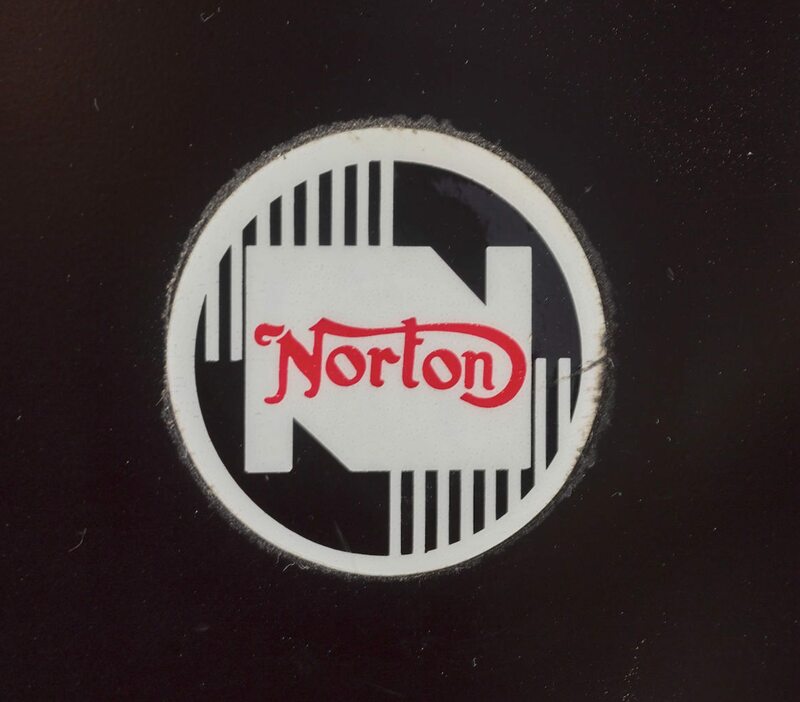 Sonny built a working prototype with his team, but couldn’t get Norton to show any interest in a production model. 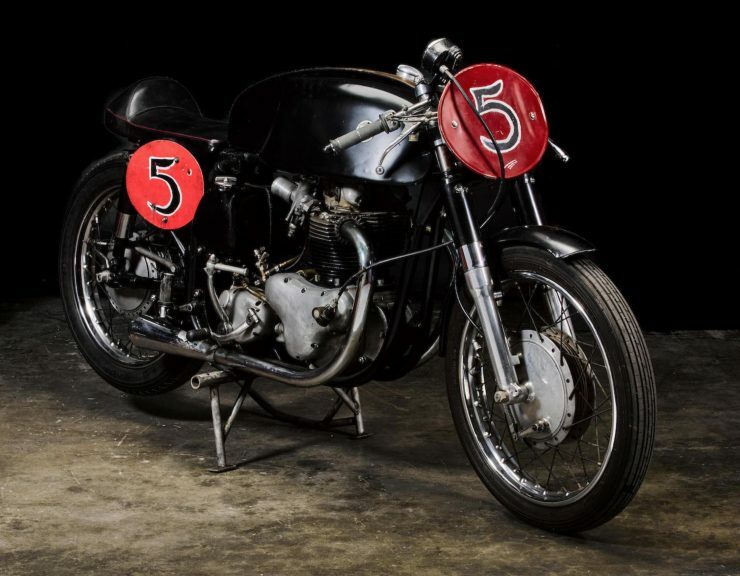 The company was struggling with low sales and financial problems, but if they’d put Sonny’s Norton-Coventry Climax into production they might have been able to compete more effectively with the Japanese. Sonny sold his dealership a few years ago and retired, he’s now in his 90s and still enjoying life. 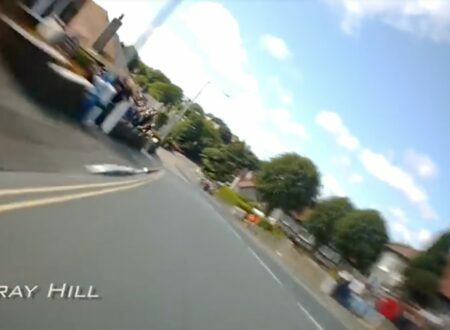 If you’d like to follow his Facebook Page you can click here. 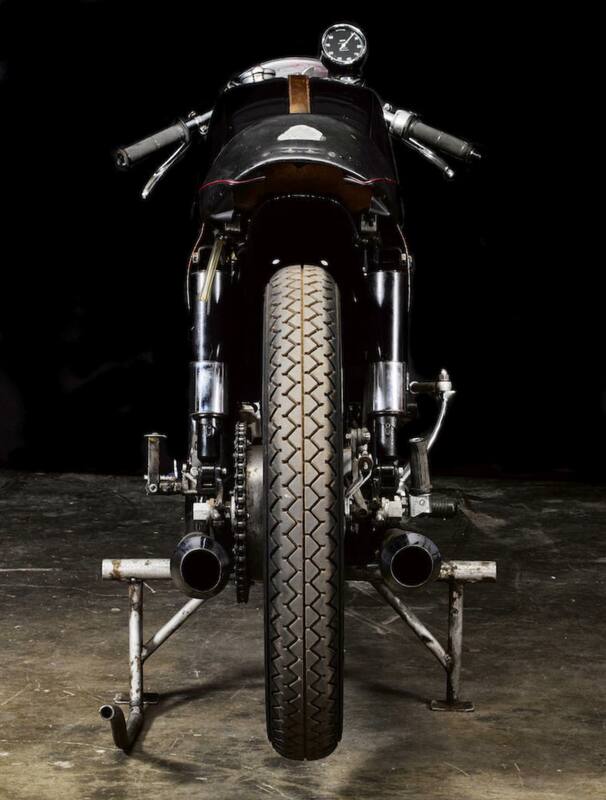 They share stories and imagery from his illustrious life, including a number of pictures of the machines he rode.